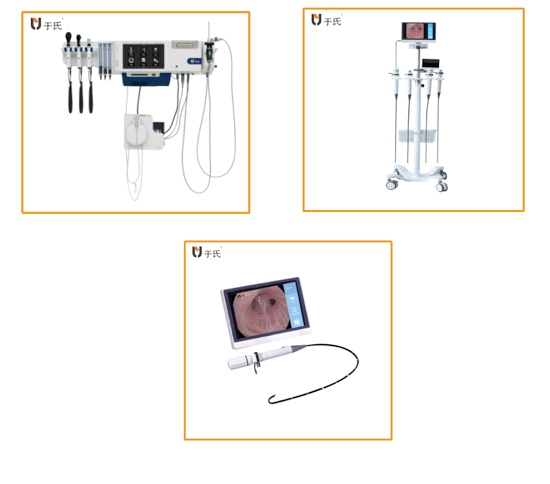 Zhangjiagang Xiehe Import & Export Co., Ltd is established basing on Zhangjiagang Xiehe Medical Apparatus & Instruments Co., Ltd which is a high-tech manufacture that integrates development, manufacture and sales on medical equipments. 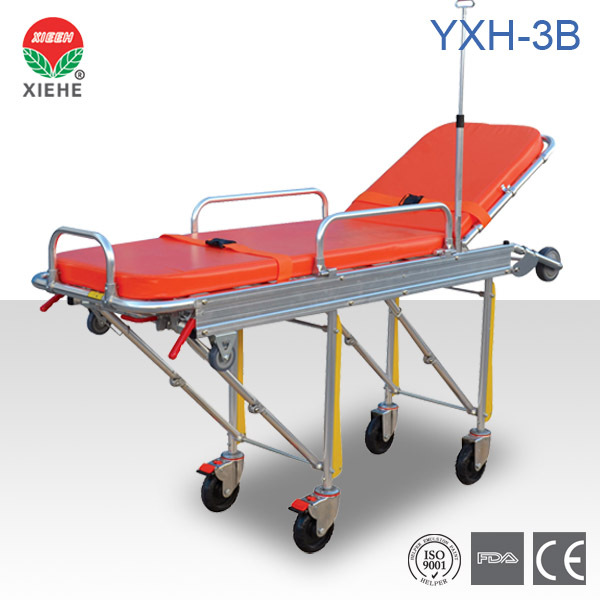 Xiehe major products and services include but are not limited to first aid kits, hospital furniture, healthcare products, surgical products, and homecare products. We also offer buyer label and OEM service of a wide variety of products. Being a trusted supplier of the above products, Xiehe works under the following main principles; quality, credit, innovation, and close partnerships with customers. Our quality philosophy is to achieve product perfection and total customer satisfaction through the implementation and maintenance of an effective, rigorous quality assurance system. As a result, we have obtained CE and FDA certification for our entire range of products. Zhejiang Medicine Co., Ltd. (ZMC), a global supplier of drug products, APIs and intermediates, human and animal nutritional products. In addition to fat soluble vitamins, including VA, VE, Biotin, natural VE, and Coenzyme Q10, ZMC also produces carotenoids, including β-carotene, Canthaxanthin, Astaxanthin, Lycopene, Zeaxanthin, and Lutein. The APIs ZMC produces via both synthesis and fermentation include Vancomycin HCl, Teicoplanin, Levofloxacin, Miglitol, etc. ZMC operates occupational hygiene, safety and environmental protection management systems that are compliant to ISO 14001 and OHSAS18001 standards. The APIs facilities are cGMP compliant with successful inspections from the German HA, Australian TGA, WHO and US FDA. ZMC is committed to its corporate mission of “Caring For The Health of Mankind” by offering the highest quality products to promoting human health. 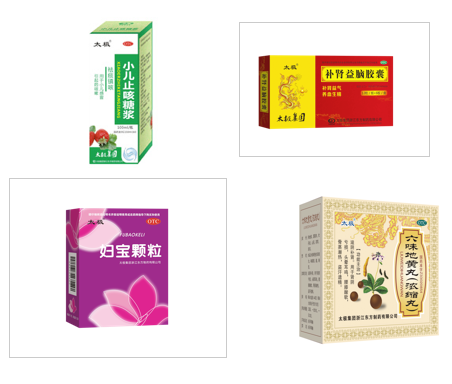 Taiji Group Zhejiang Dongfang Pharmaceutical Co., Ltd. was founded in 1752 (17th year of Qing Emperor Qianlong) and was established in 1958 as a Shaoxing Chinese medicine factory. In 2000, it was reorganized into a state-owned holding subsidiary of the Taiji Group. The company has won the China Quality Award, the International Excellence Award, and the China Silver Award for many times. It has been awarded the title of China Quality Management and Inspection Advanced Enterprise. It has been repeatedly named as the preferred brand for high-quality products and shopping in Zhejiang Province. Taiji Group Zhejiang Dongfang Pharmaceutical Co., Ltd. is the production base and window company of the Taiji Group in the eastern region. It has a broad space for development, eager to communicate and look forward to cooperation. We hope you and I can share the achievements and joys of development. We would like to develop together, work together for a win-win situation, and work hard for the Chinese pharmaceutical industry to go to the world! Zhejiang Haisheng Medcial Device Co.,Ltd. is senior leader specialized in manufacturing high-quality disposable medical anesthesia and monitor products for hospitals and clinics. Haisheng has been running since 2000 with over 300 employees and occupies 10,000 square meters of 100,000-class clean room workshop equipped with more than 500 sets of advanced equipment . 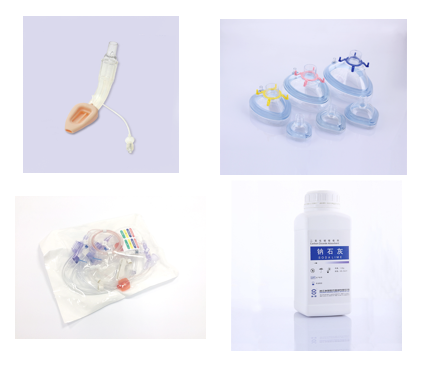 Haisheng has been devoted to developing range of disposable anesthesia products that meet market demands, such as anesthesia breathing circuit, breathing filter, pressure transducer ,soda lime, Esu pencil, Patient plate, laryngeal mask airway . Quality is our life.Haisheng products are certified with ISO, CE and some are registered in FDA with FDA510K number. Thanks to our excellent quality control, timely delivery and good after-sales service,we’ve won high reputation at home and abroad . Zhengjiang Jingxin Pharmaceutical Co., Ltd was established in 1990 and has been developed as one of the National Important High-tech Enterprises, Top 100 Pharmaceutical Enterprises and the Listed Company. Jingxin Pharm focuses on manufacturing of 3 series of products such as Cardiovascular, Anti-infective, Antidepressant and Psychoneurosis. The main dosage forms including Tablets, Capsules, Powder for suspensions,Powder for injections, Large Volume Injections and API. We have a large production capacity, for example 5 billion tablets & capsules per year. Solid preparation workshop has been passed EU, GMP and approved by Germany Government for 4 times, respectively at the year of 2006, 2009, 2012 and 2015. Zhejiang Yili Capsule Co., Ltd. is a director of the China Pharmaceutical Packaging Association and a vice president of the Zhejiang Pharmaceutical Packaging Industry. It is a provincial-level high-tech enterprise specializing in the production of hollow capsules, integrating domestic research, production, and sales. There are 30 advanced automatic capsule production lines and 6 internationally advanced Canadian TES automatic capsule production lines. It can produce 200 million RMB in 00#, 0#, 1#, 2#, 3#, 4# and 5# series hollow capsules annually. Around the grain. The production workshop is strictly designed and constructed with reference to the GMP standard for pharmaceutical products, and the clean grade is Class D.
In October 2014, the company was recognized as the first provincial high-tech enterprise in the capsule industry in Zhejiang Province. On April 10, 2015, Lijia Capsule was successfully listed on the New Third Board and became the first listed company in the capsule industry in China. 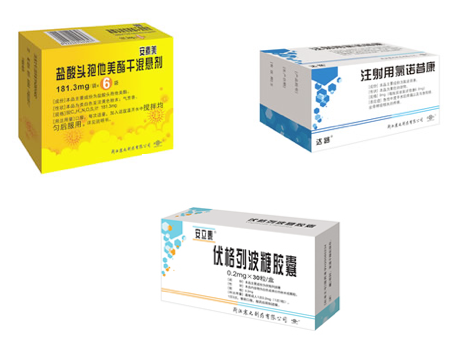 Zhejiang Zhenyuan Pharmaceutical Co., Ltd (Zhenyuan Pharm) is located in Shaoxing, a city with long history and culture heritage. Since its establishment in 1958, it has been an anti-infection drug producing base with more than 30 years history in the production of antibiotics and semi-synthetic antibiotics. Zhenyuan Pharm is professionally engaged in the manufacture of bulk drugs and preparations of Macrolide, Aminoglycoside, Cephalsoproin, and Plynoid antibiotics. It is a key hi-tech enterprise, an excellent enterprise of technological development in Zhejiang province. Zhenyuan Pharm has got the China GMP certificates for all its bulk drugs and preparations. Based on decades of development, Zhenyuan Pharm has accumulated abundant experiences of production and management, and has improved its technological and economical benefits rapidly by training and gathering a large number of professionals. It has become a hi-tech enterprise by full improvement and development since 1990’s. Zhende Medical is an industry leader in R&D, production and sales. The group is involved in traditional medical dressings, pressure treatment and fixation, modern wound care, surgical infection management, incontinence care products, and automation equipment. Product sales in more than 70 countries and regions, Europe is the core area of the international market, in more than 30 domestic provinces and cities, more than 3,000 medical institutions are using Zhende products. Since the founding of Shaoxing Zhende, after 20 years of development, Zhende Medical adheres to the spirit of “responsibility, learning, professionalism, and sincerity”, based on the development of its core business, and builds core competitiveness, with “brand, innovation, professionalism, "Efficient" is a business concept, grasping the historical opportunity of rapid development of demand for disposable medical consumables in China, accelerating industrial integration and product R&D, innovation, increasing R&D investment, market channel construction and talent construction, realizing strategic transformation of the company's industry, and enhancing core competition of the company force. Zhuhai Yushi Medical Technology Co.,Ltd. is a pharmaceutical, health care and medical device manufacturer, established in May 2005, passed GSP and CE certification and achieved ISO9001:2000 and ISO13485 quality management system certification. The company now mainly manufactures medical equipment and health care products. It’s a comprehensive pharmaceutical circulation, medical device and health care products manufacturing enterprise.The company has a wide range of end customers across the country and the world including the distribution of customer network of national comprehensive large-scale hospitals, private specialized subject hospitals,clinic, rehabilitation care center.